Over the years I have hosted a fair few parties. My house has been turned into Hogwarts for a Harry Potter themed birthday party. The Halloween costumes came out as we went back to school again for Monster High. All of this takes a lot of time and effort to put together and source the items required. This gets particularly hard for me as my children's birthdays are only five days apart. As I have a boy and girl and there is also five years age difference between them there's also no chance of holding a joint party for the pair of them. This is where somewhere like Party Bags and Supplies comes in handy. How many times have you gone into a shop hoping to buy everything in one go only to find only a few of the items are in stock? How much time have you wasted in going from place to place in order to get everything themed? 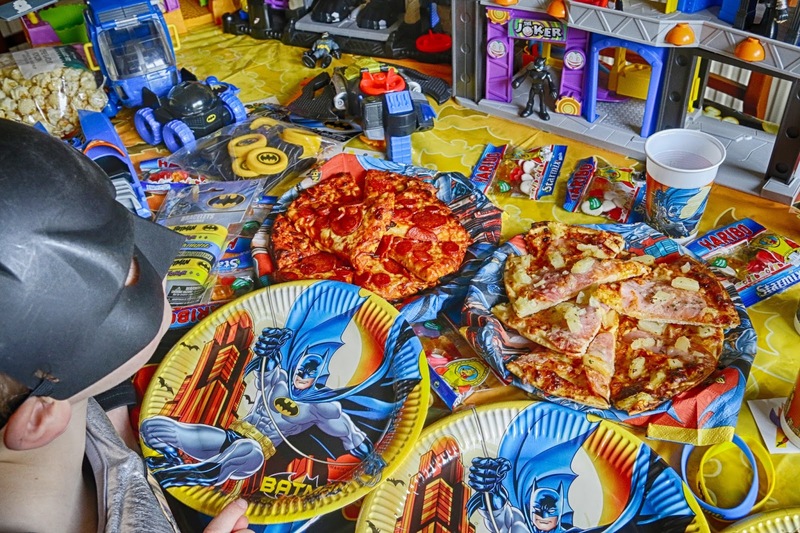 For my superhero mad son I chose to try out the Batman Dark Hero Party Park for 8. In the pack was a tablecloth, 8 cups, 8 plates and of pack of 20 napkins all in the same matching pattern. 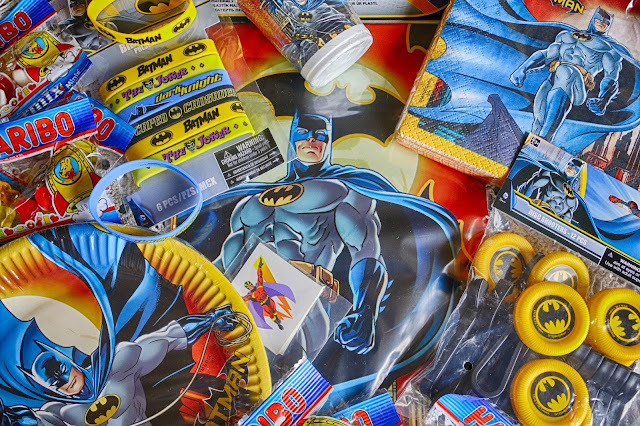 For the essential take home gifts there was Batman disk spinners, Batman rubber wrist band, a superhero tattoo and the essential packet of Haribo sweets. 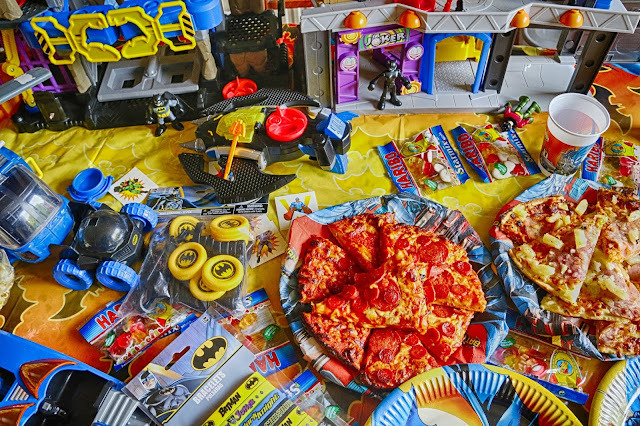 We had a little gathering at home and decided to accessorise the table with a selection of Gotham City buildings. Apparently more is more according to Master JibberJabber so the table was added to in the form of vehicles and figures! Since we had some napkins left over I decided to cover some of the food serving plates so everything was on theme. Once my own Dark Knight had turned up in full costume it was time to party! I was sent the party pack for review purposes. All words and photographs are my own.